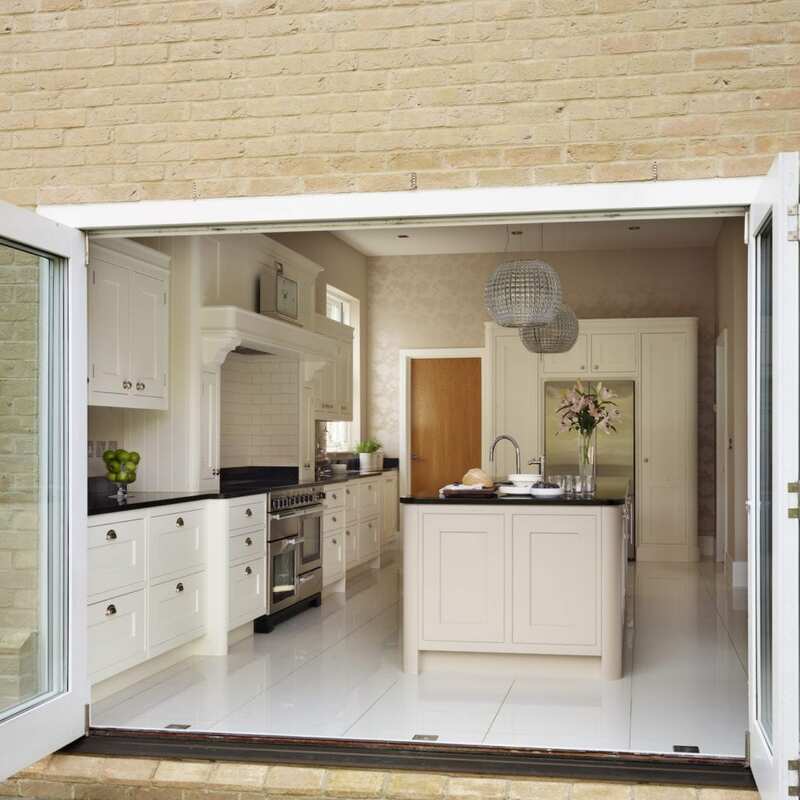 When Nikki and Gary bought their 6 bedroom family home in Chelmsford they knew the kitchen had to be changed. 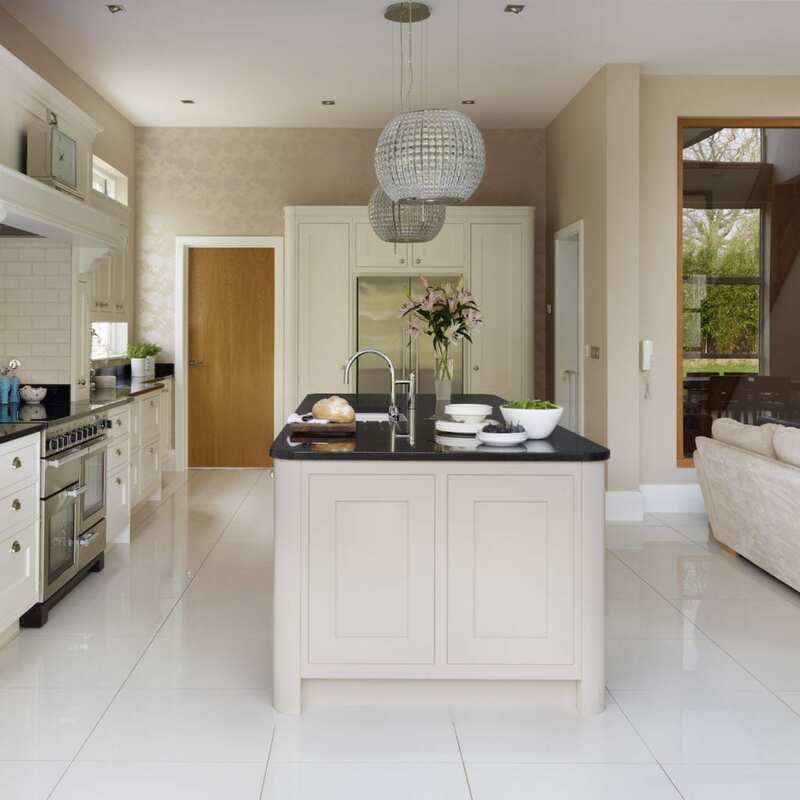 The existing kitchen cabinetry was hi-gloss black with pink worktops – whilst a striking contemporary style, it was not to Gary and Nikki’s taste. However, the layout of the room was highly functional, so there was no immediate rush on remodelling the room. This therefore gave them time to think about how their ideal kitchen would look and to research the best companies to deliver their dream. Gary enjoyed numerous cookery courses at Braxted Park, near Kelvedon. He came to admire the kitchen there and on finding out that Davonport was responsible for designing and manufacturing the kitchen he and Nikki followed Davonport on Facebook and started to gather ideas of which of Davonport’s kitchen designs they liked. 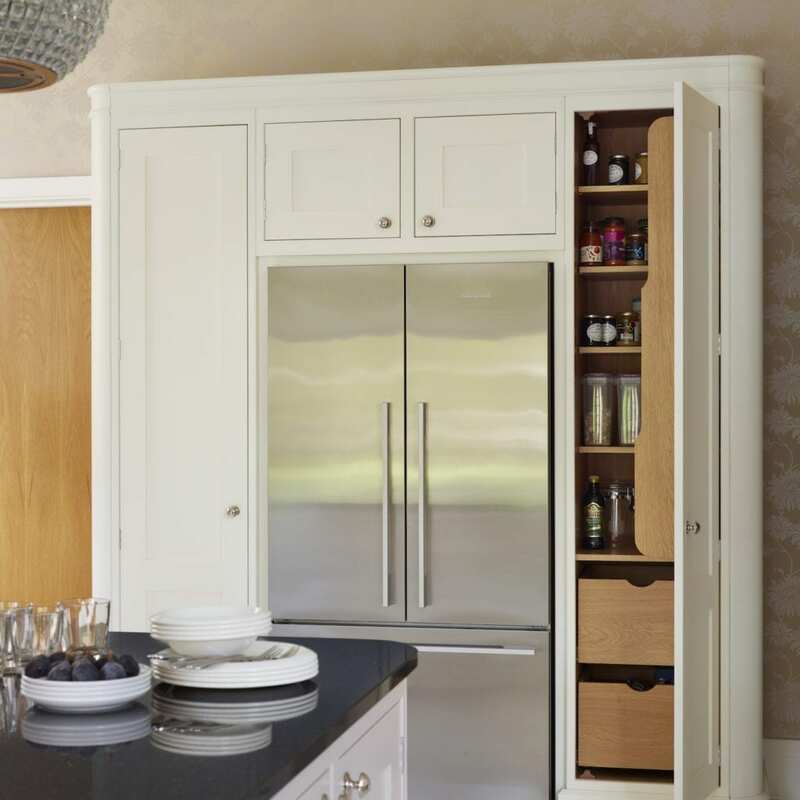 Thanks to this, when Nikki and Gary came to Davonport they had a clear idea of what they were looking for – they wanted a complete aesthetic overhaul to create a shaker style kitchen. As part of their visit, at the beginning of the design process, Nikki and Gary were taken around the Davonport factory. 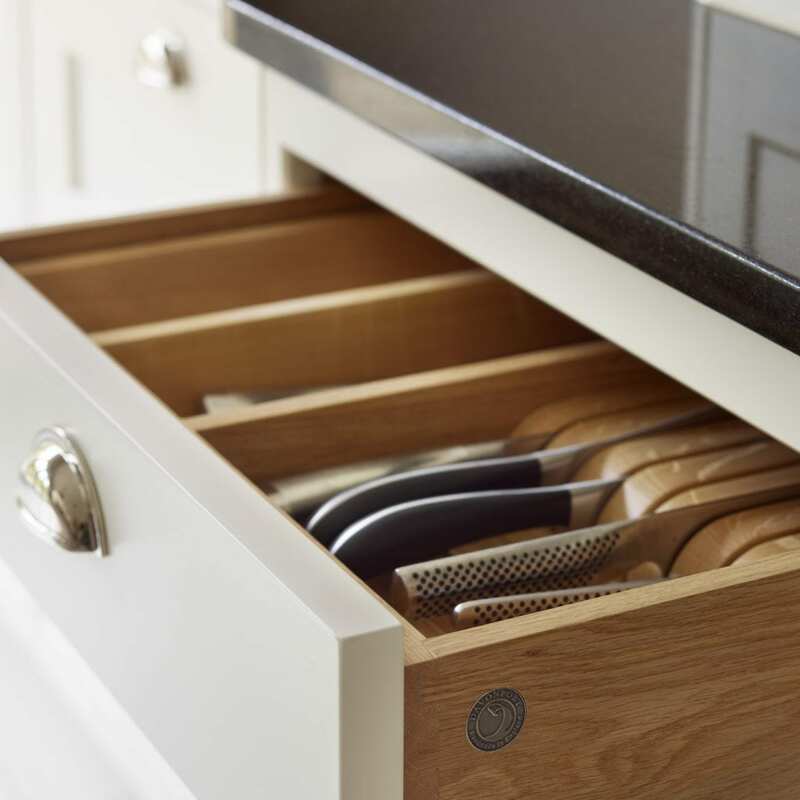 They were able to see for themselves the quality of timber and craftsmanship that goes into every kitchen. 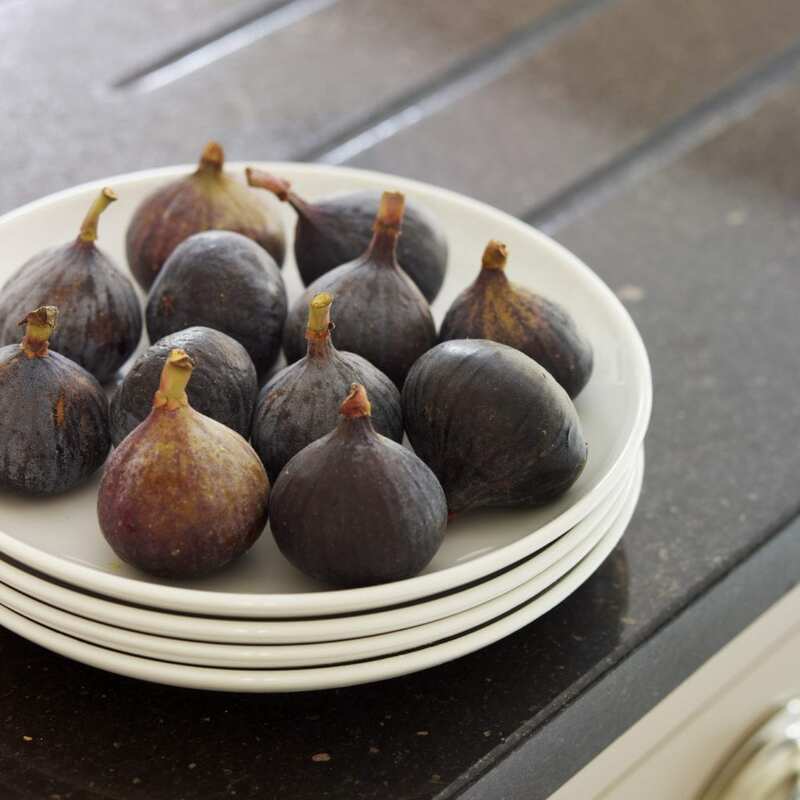 This was the deciding factor in choosing Davonport to create their new kitchen. Having two children meant it was very important to Nikki and Gary to keep disturbance to a minimum therefore no structural work was undertaken. The sink remained on the island and the cooker was only moved a short distance, therefore disruption to the space was reduced. 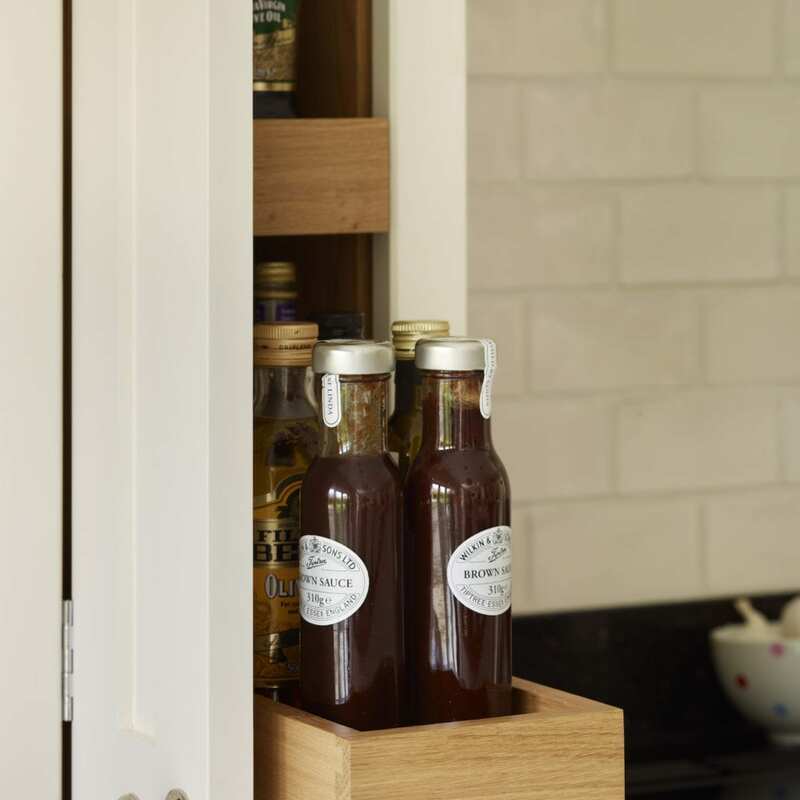 Nikki and Gary chose the understated Tillingham collection for their new shaker style kitchen. 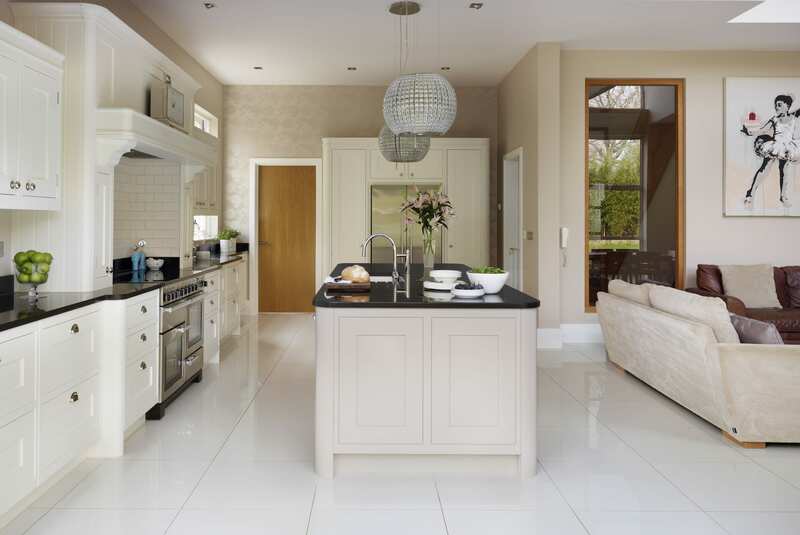 “We wanted it to be inviting and to have the character of a traditional kitchen with neutral tones” explained Nikki. 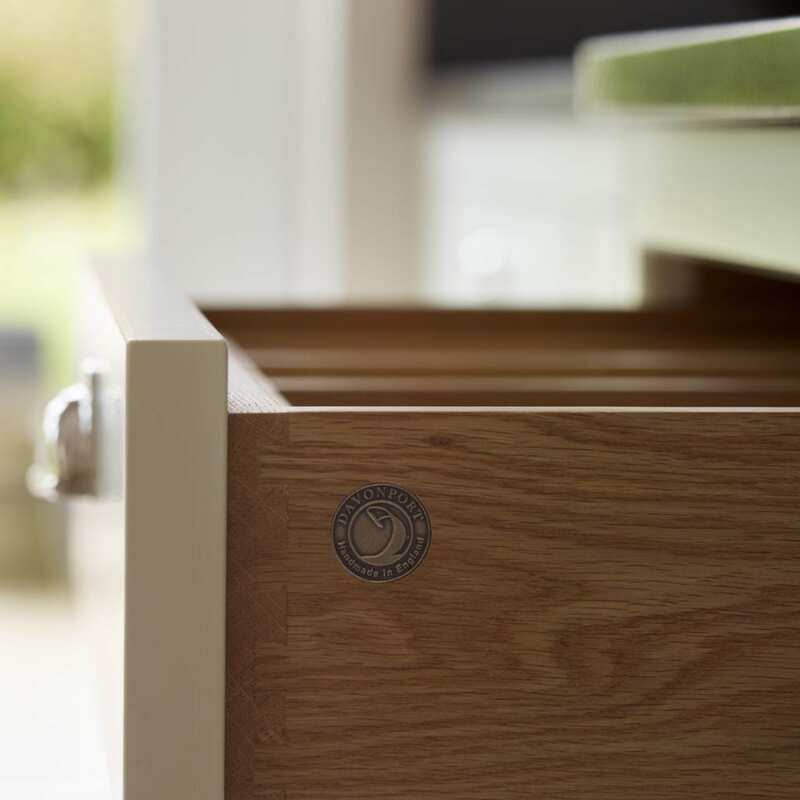 The soft colour palette used on the shaker style furniture perfectly complemented the overall feel of the room. 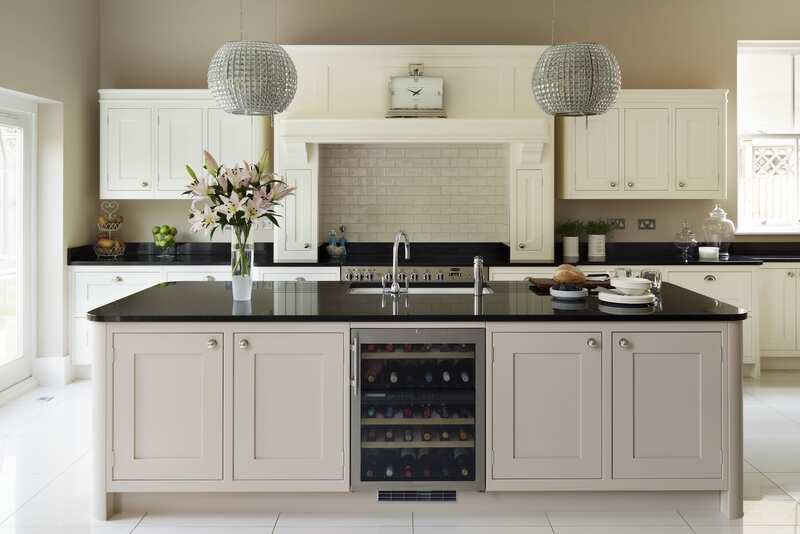 The majority of the cabinetry was painted using Farrow & Ball ‘Pointing’ whilst the island and media cabinet used ‘Elephant’s Breath’, also by Farrow & Ball. The family/dining room which leads off the kitchen also had a design overhaul; new media furniture was designed and installed to complement the kitchen cabinetry. A new Westin extractor was introduced above the range cooker in order to cope with the steam produced when cooking. However, the pair of chandelier extractors above the island were kept from the old kitchen. Nikki liked the glamour they brought to the room as well as the soft lighting that they create; “they’re my bit of bling” she laughed. The sophisticated but relaxed feel of the room has made it perfect for the family’s busy life. 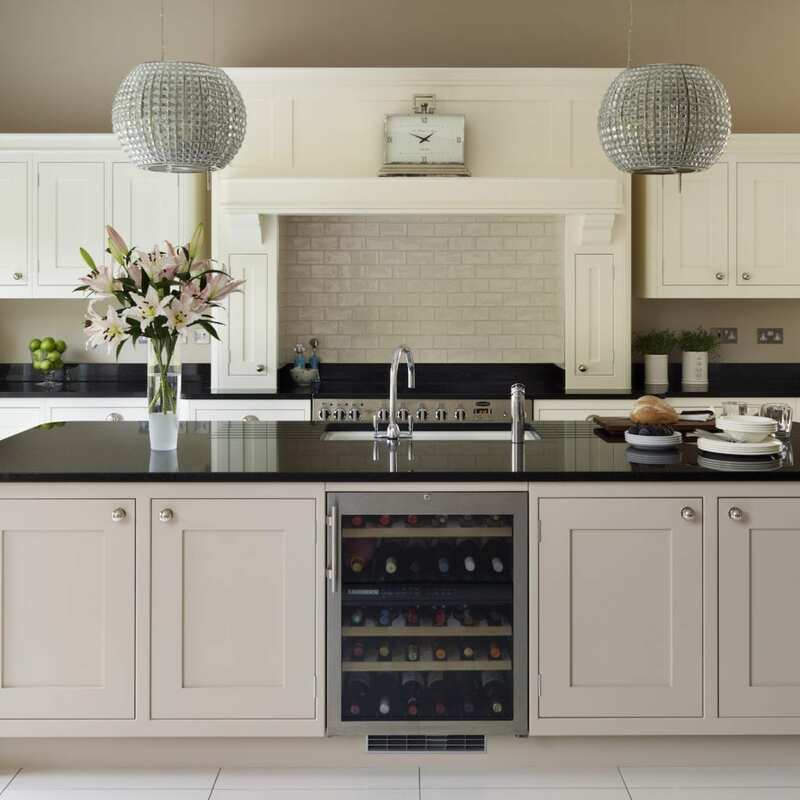 “We spend a lot of time in this room as a family, whether cooking, entertaining or watching TV, so it had to look and feel comfortable.” This elegant example of Davonport’s Tillingham collection has an enduring beauty with shaker style cabinets and a neutral colour scheme that will retain its beauty for many years to come. 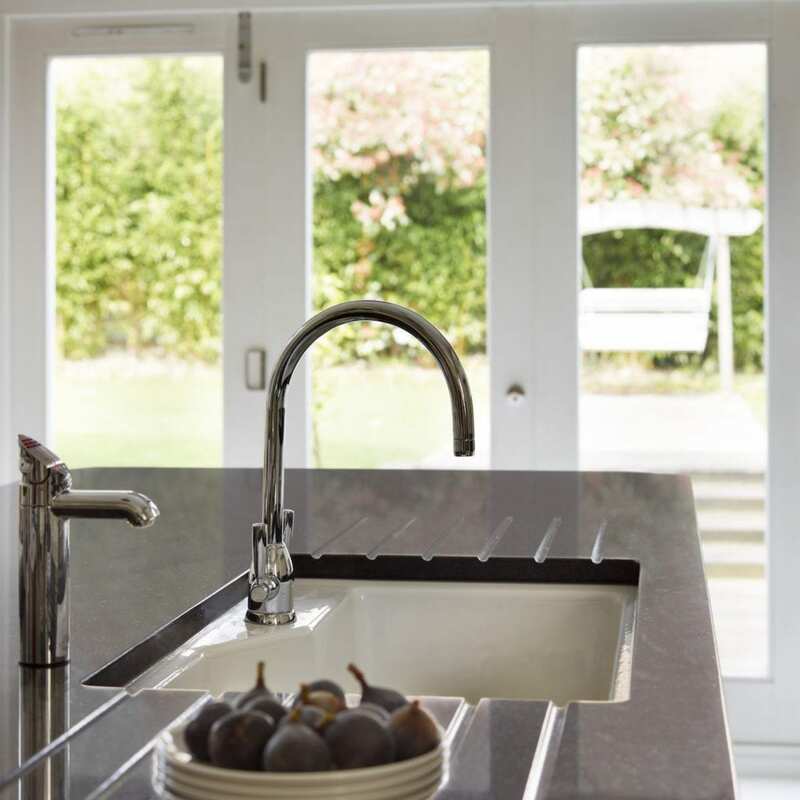 Please visit our Tillingham collection page to find out more about this classic kitchen style.